"Citrus Burst". Kitchen Towels Set (3 pieces). 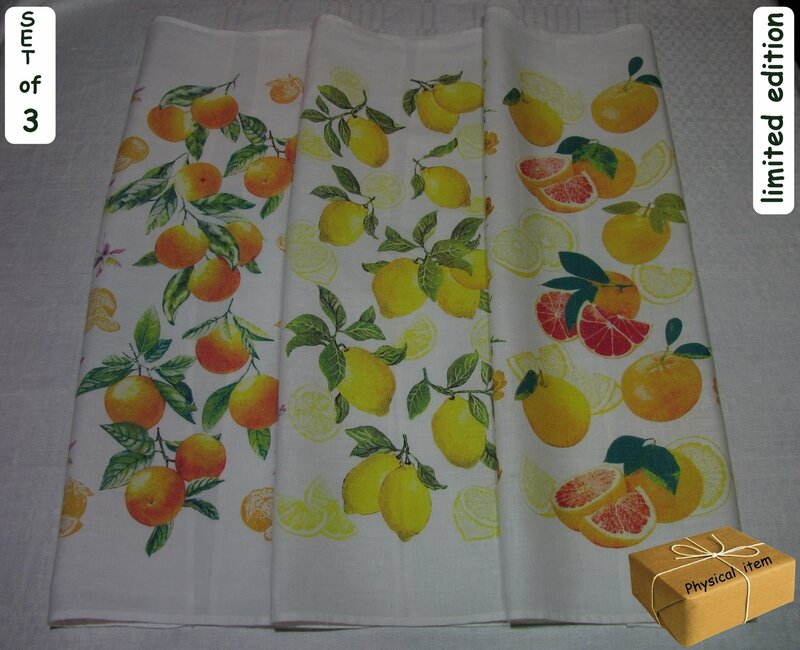 Set of three handmade 100% linen kitchen towels with vintage citrus print. Natural white color. Strong and durable fabric. Please NOTE: linen wrinkles very easily, and thus requires often ironing, in order to maintain perfect smoothness.